Mr Ngene Chibuike has lost an appeal filed to upturn his 2-year imprison and forfeiture of $2.506 million he did not declare at the Lagos airport to the Nigerian government. He had tried to leave Nigeria with undeclared $2,506,998 when he was apprehended by Custom officials. A High Court in Ikoyi, Lagos State, had on February 9, 2016 handed Chibuike a 2-year jail term and also made him forfeit the undeclared fund. He filed an appeal at the Federal Court of Appeal in Lagos, but lost that appeal on Friday. 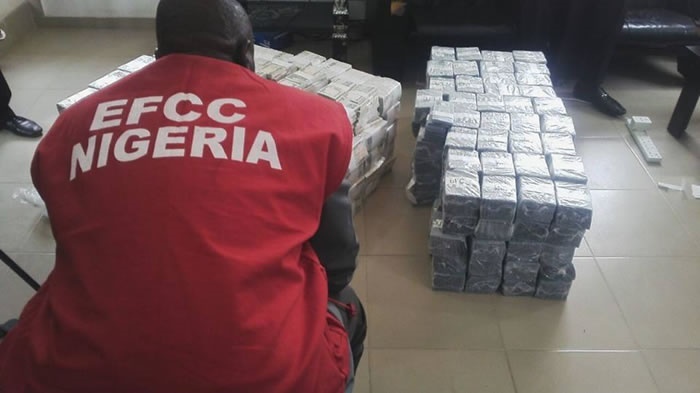 The prosecutor, the Economic And Financial Crimes Commission (EFCC), in a statement said the convict was arrested on October 8, 2015 at Murtala Muhammed International Airport, Lagos. He was nabbed during an outbound clearance for a journey to China en-route Addis Ababa, Ethiopia with an undeclared sum of $2,506,998 (925.082 million Naira). The EFCC arraigned the convict, on December 22, 2015 on one count charge for "falsely declaring the sum of $11,500 instead of $2,506,998 he had in his possession to the officers of the Nigeria Customs Service". Section 2(3) of the Money Laundering (Prohibition) Act mandates every traveller to declare the amount of money they intend to take out of Nigeria. His offence is punishable under Section 2(5) of the Money Laundering (Prohibition) Act.